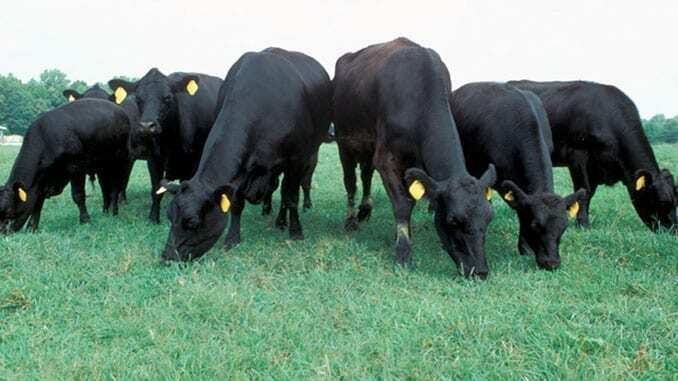 Angus cattle on pasture. Credit: Scott Bauer. The National Agricultural Biosecurity Center (NABC) has received new funding from the Department of Homeland Security to develop the National Livestock Readiness Program. The project will provide a clearinghouse for planning, training and knowledge products to help state, local, tribal and territorial entities prepare for transboundary livestock disease outbreaks. The award was made through NBAC’s Basic Ordering Agreement with K-State in the amount of $331,118. According to Ken Burton, program director at NBAC, a central repository of resources to support state and local animal health emergency management is currently lacking. “There’s good information at the federal level that many states utilize, but there are additional tools and information available which entities can use to do planning, training, and education, but are difficult to locate,” Burton said. In addition to a library of materials and links to available resources, the National Livestock Readiness Program website will offer a chat capability to allow users to ask questions about where to find information. The center’s staff and partners will answer inquiries within 24 hours. The program also entails extensive collaboration of academia, private industry and state governments. Faculty and staff in the Beef Cattle Institute and the College of Veterinary Medicine will provide subject matter expertise and assistance building the website, and student workers will be employed to assist with the project. The center is collaborating with the Kansas Department of Agriculture to build relationships with other state departments of agriculture to ensure adoption of best emergency planning and management practices. The center also has a subcontract with an individual company to develop a curriculum to teach techniques for writing and evaluating transboundary animal disease response plans. Article adapted from original by Sarah Hancock, K-State University.